Search Engine Optimization can be one of the most useful assets for your company and website. With our latest tools and developers we will work with you to give your site the visibility it needs. Company Portals are the fast and convenient way to make your business run smoother. We give your employees and managers the ability to make an order, pay and have it shipped with no hassles. Design is one of the most important pieces to your website and its branding. A great user experience will increase a user to keep coming back to your site. We will work with you to create your perfect design. 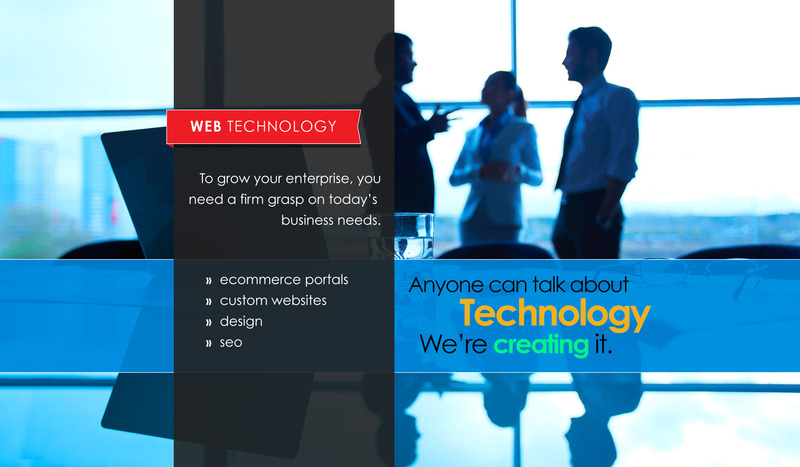 Custom Websites are almost a necessity for any business, whether large or small. We have a great team ready to create your perfect site for your business or product. We will also host and maintain your site through its life cycle. Technology Media Group (TMG) delivers world-class customer-focused technology solutions. TMG offers expertise in consulting and web services, along with ongoing management of data, website content and design, SEO and back-end integration programming. With solutions that span mobility, customer self-service, and customer management services, TMG’s offerings enable companies to accelerate growth and benefit from more satisfied customers, more intelligent processes, and a more engaged and productive workforce. We have the expertise and talent to take your technical needs to the next step. In the ever changing world of mobile and tablet browsing, all of your sites need to compete with state of the art sites. We specialize in responsive web sites. We integrate the latest technology to make sure your site will be readable across all platforms. We are constantly innovating each site to make sure all content is readable for your clients, no matter where they are. One of the most important details of any website is the look and feel to catch a user right away. Our design team is dedicated to making an elegant layout to lead users to your brand. We will work with you to get each color, image and font to your exact wants and need. Have a site you already love? We can work with that layout and convert it to your brand. With every website, there is always up-keep and changes that need to be made. Whether it is adding new content, or updating technology. Our team will always be on the cutting edge of new ideas ready to implement them into your system if necessary. We also will monitor and host your site without any head aches that you may have to deal with.